The ‘Windhunter family bungalows’ have a terrace with a great view over the kite &windsurfing spot, near the water while the back of the dune protects them from the wind. 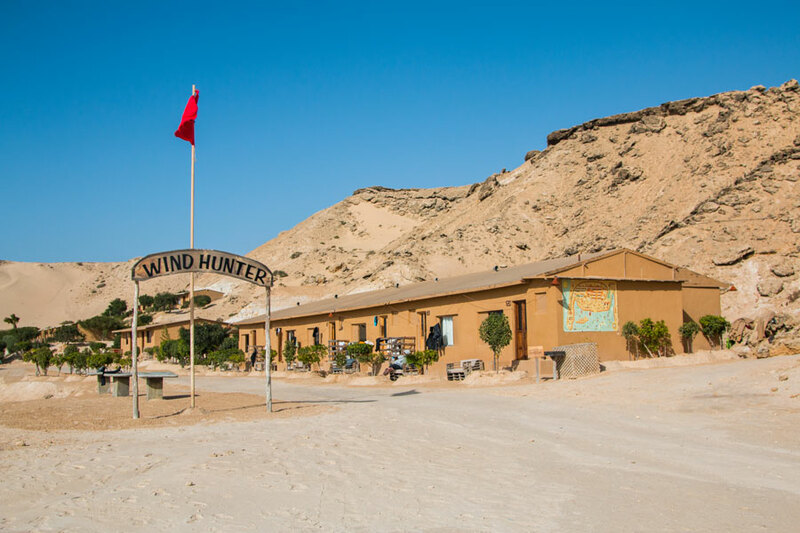 The Windhunter camp accommodation is located at 200m from the Nautical Center and 350m from the restaurant, approximately a 5 minutes walk. More over all the bungalows are made of wood ( 25m2 to 35m2), are composed of a room with 3,4 or 5 twin beds, two closets and a fully equipped bathroom and shower. Pricing is calculated per person per night on full board basis and can not be modified. Free for kids below 4 years. 30% off for kids below 12 years. Prices include: airport transfers and free wifi in common areas. A 30% deposit is required at time of booking. Full balance is due 21 days prior to arrival. If booking within 30 days of arrival, the full cost must be paid at the time of booking. – Rates are on full board basis and can not be modified. – Prices are per person and include: Full board, airport transfers and free wifi in common area. – It’s mandatory the payment of 100% in advance. – Accepted payment methods: cash (€, DHS) and credit cards (NO AMEX). – Material can NOT be stored in the bungalows. Clients with own material have to pay STATION FEE. The STATION FEE is for free for all VIP bungalows. – The VIP bungalows include a VIP SERVICE (Daily cleaning, towels and bathrobes, daily fresh fruit and water in the room, late check out on departure day, 3G internet connection and station fee). – For CHRISTMAS a supplement o 30€ and in NEW YEAR a supplement of 50€ per person will be charged. KIDS under 12 years old 50% discount. – Passport valid for at least three months from the date of entry. No visa is required for citizens coming from the European Union. No show (not present at day of arrival) : 100% total price of the stay. Cancellation 7 days before the arrival date : 100% total price of the stay. Cancellation 8 to 15 days before the arrival date : 50% total price of the stay. Cancellation 16 to 30 days before the arrival date : 30% total price of the stay. Cancellation +30 days before the arrival date: 20% total price of the stay.